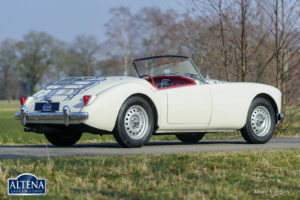 MG MGA Twin-Cam roadster, year 1958. Chassis number VD397X. 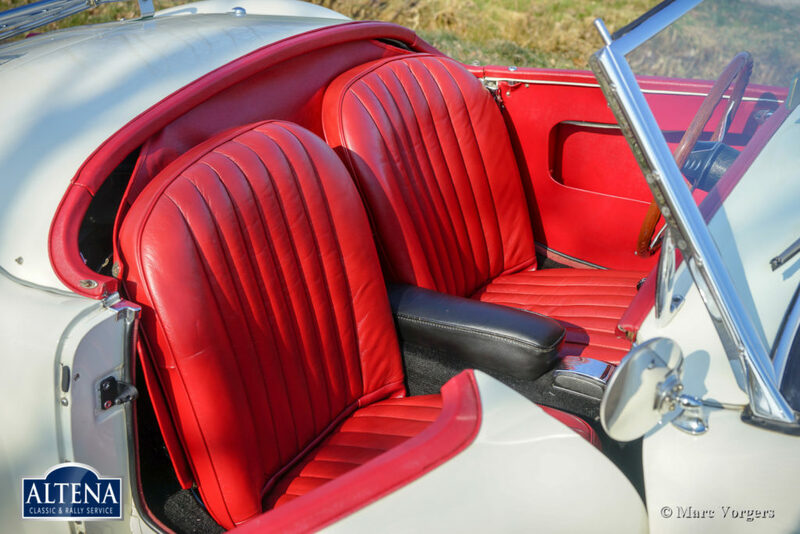 Colour Old English White with a red leather interior and black carpet. 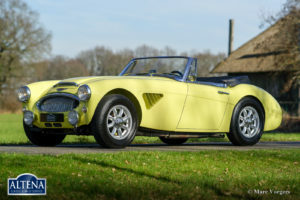 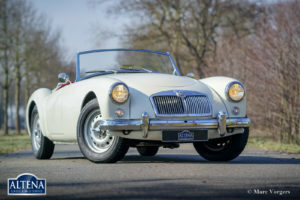 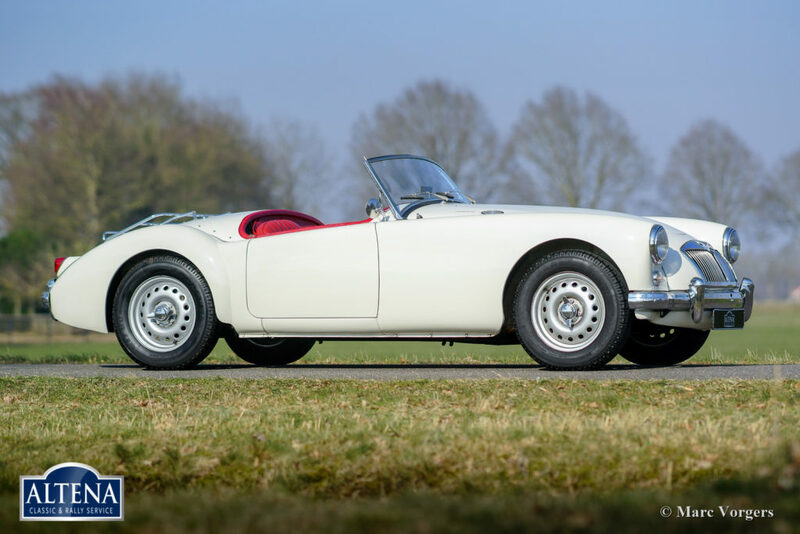 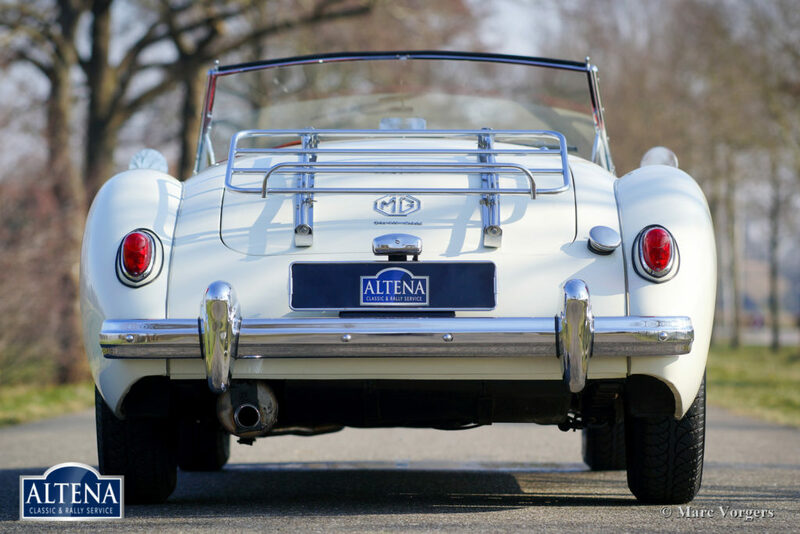 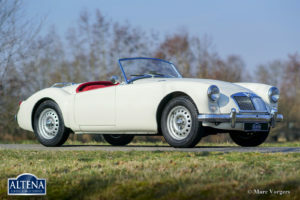 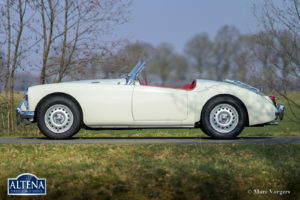 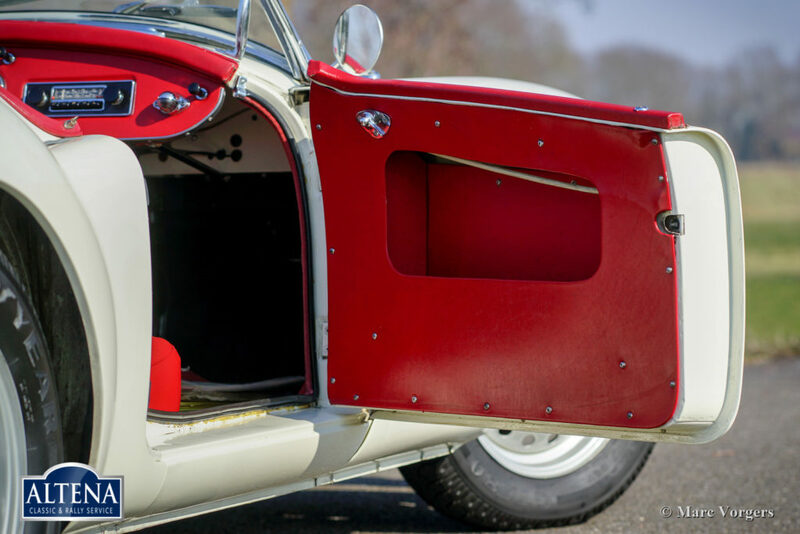 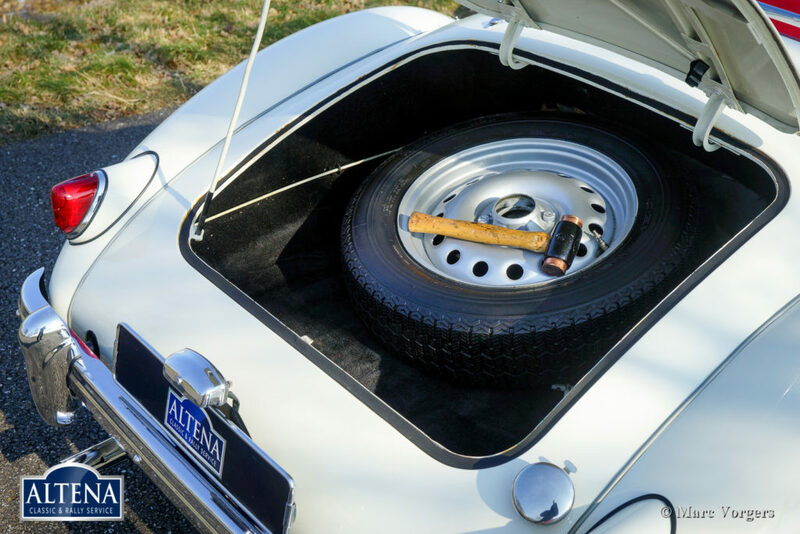 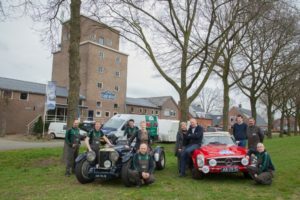 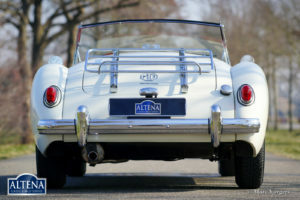 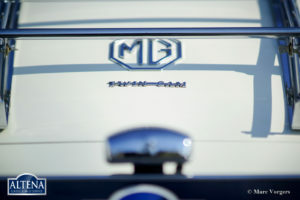 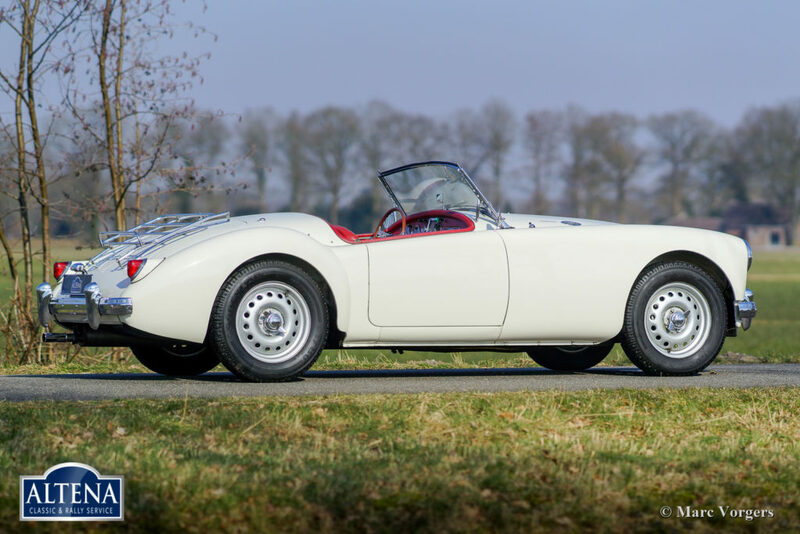 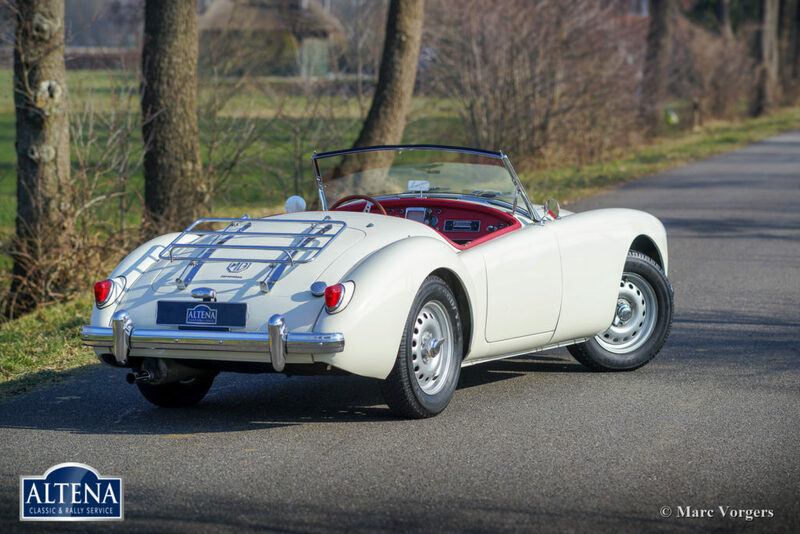 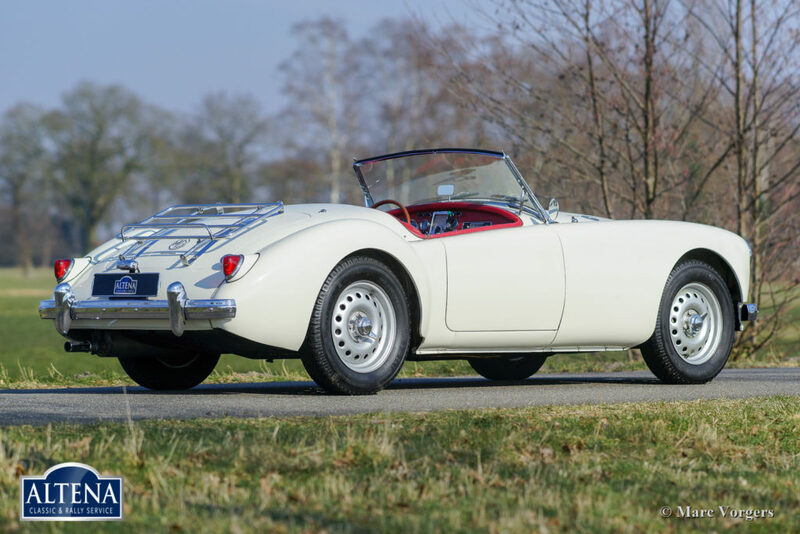 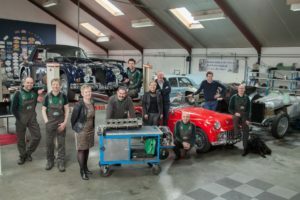 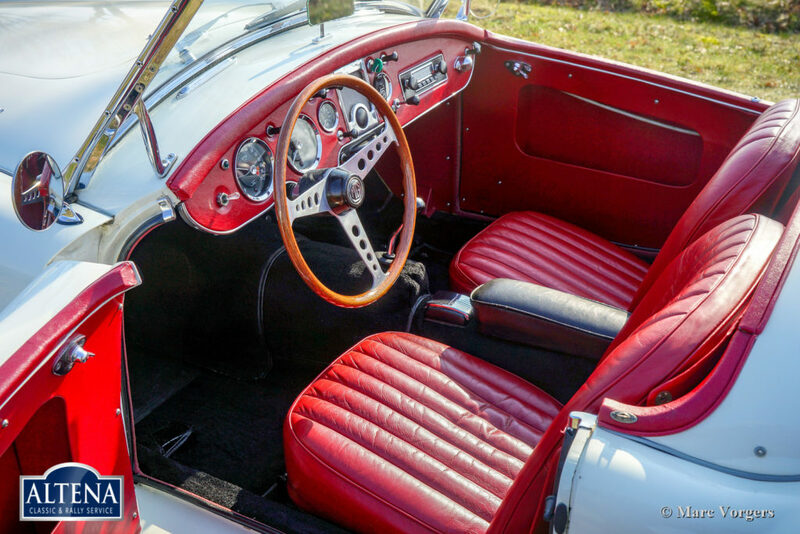 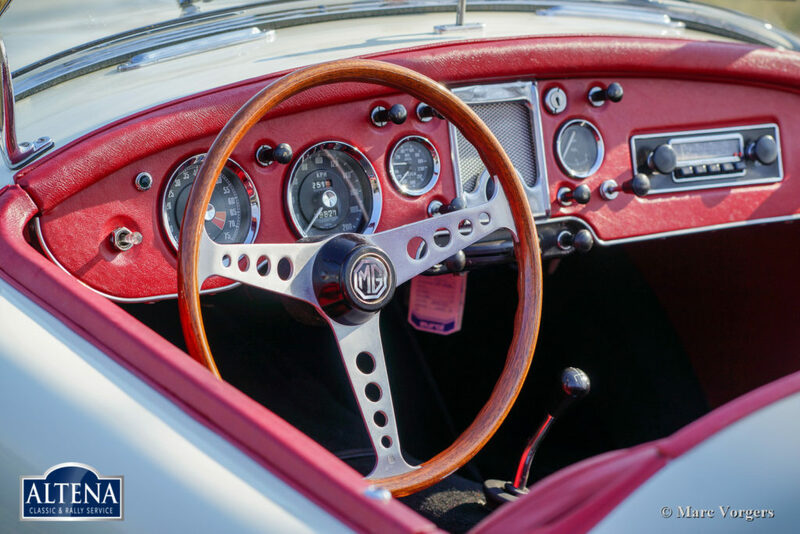 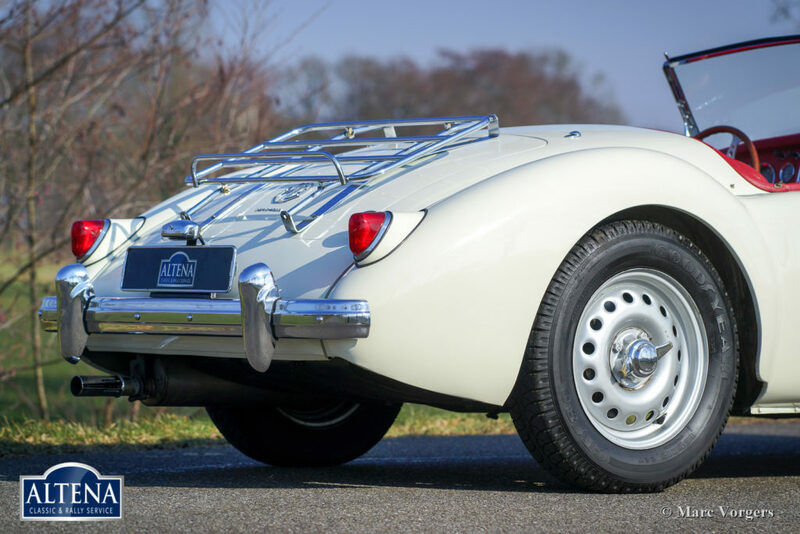 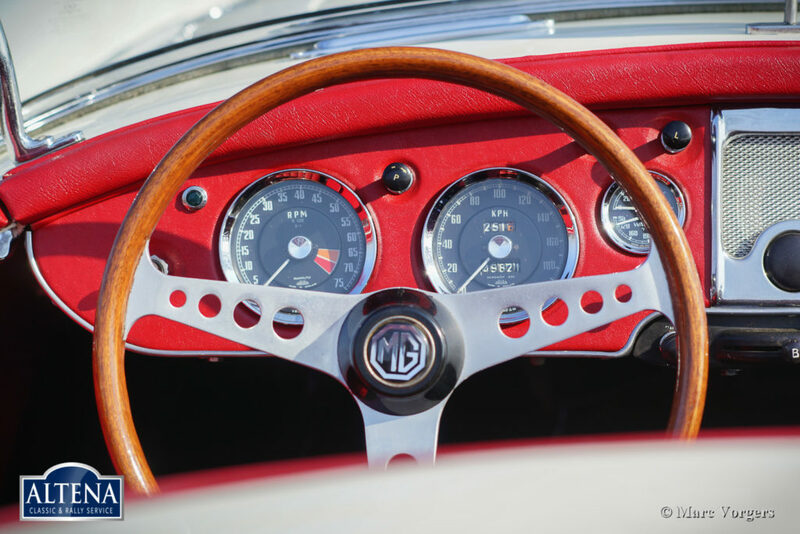 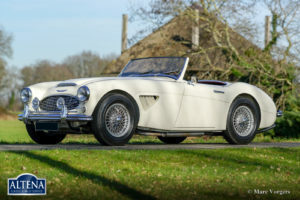 This rare and fabulous MGA Twin-Cam roadster was shipped to Belgium as a CKD export model. 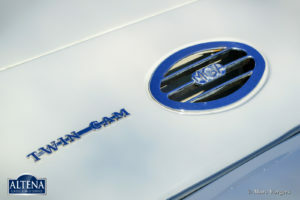 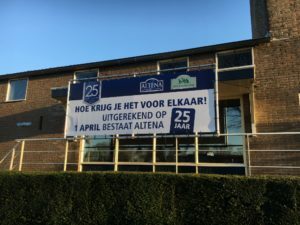 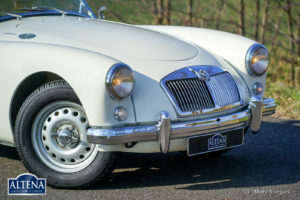 The car was assembled in Belgium and it was sold new in the same country. 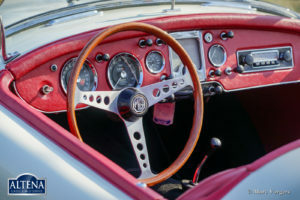 It is said that the car was raced at Spa-Francorchamps in its early days. 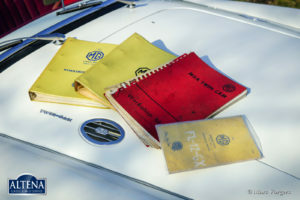 In 1960 the car was purchased by a renowned Dutch publisher of technical car books (Piet Olyslager). 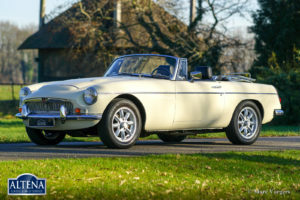 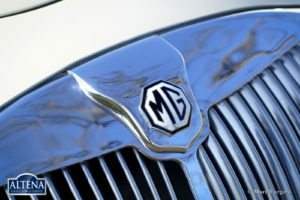 In 1969 the car was sold to a surgeon who drove the car until 1973. 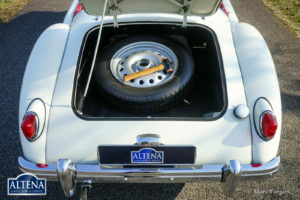 Then a restoration was planned, and the car was taken apart. 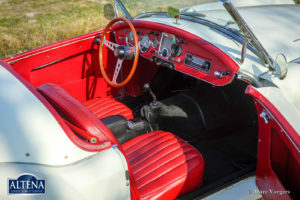 The restoration never started, and the car was sold in parts to the current owner in 1983. Then a full restoration and overhaul followed. The body and chassis were stripped of paint, sand-blasted and epoxy coated. Then the car was painted in its original colour again. 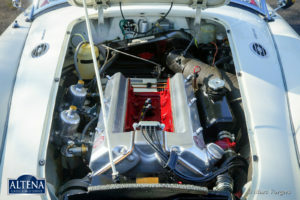 The Twin-Cam engine was fully overhauled, to high compression specifications, by specialist Peter Wood in England. 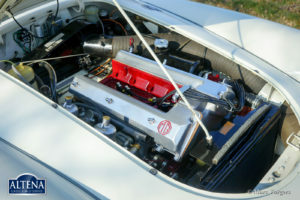 The old Twin-Cam head was replaced by another unit, hence the later serial number. The other mechanicals were overhauled, the interior was restored and the ‘bright-work’ re-chromed. A photo reportage of the restoration is present! 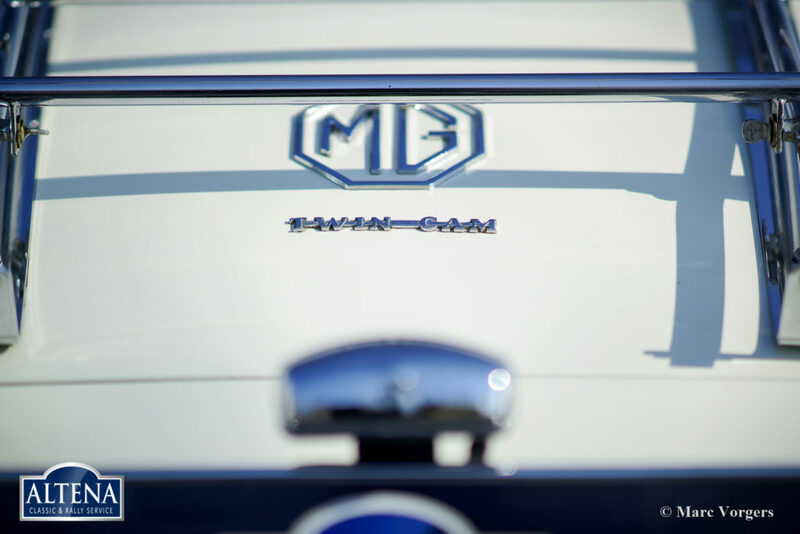 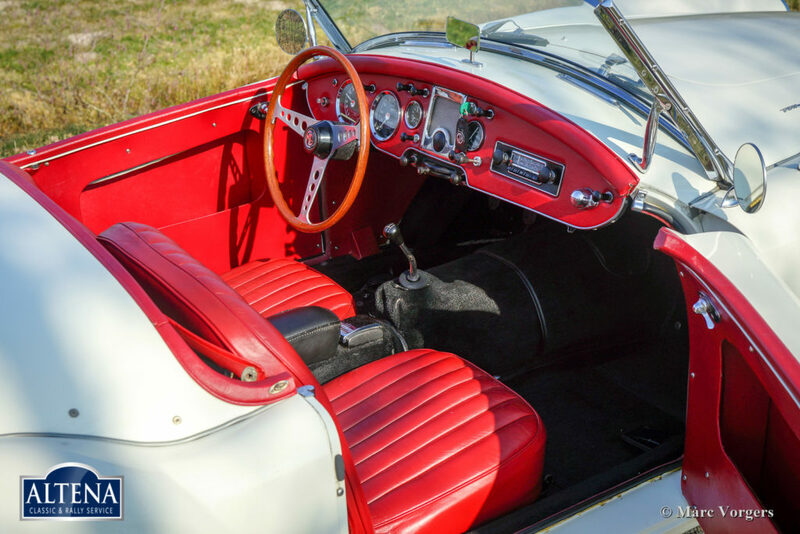 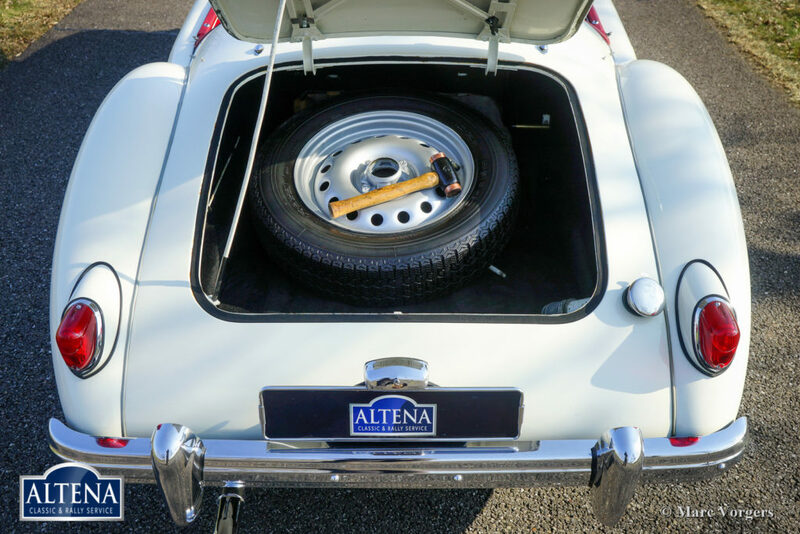 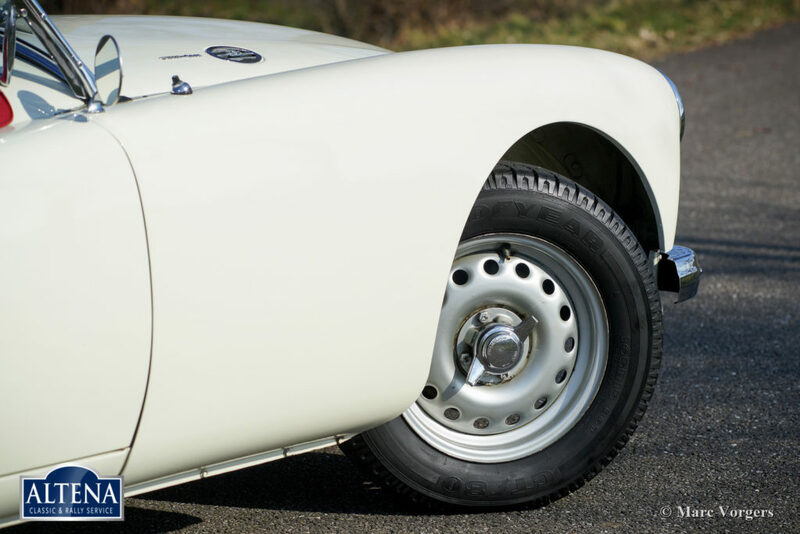 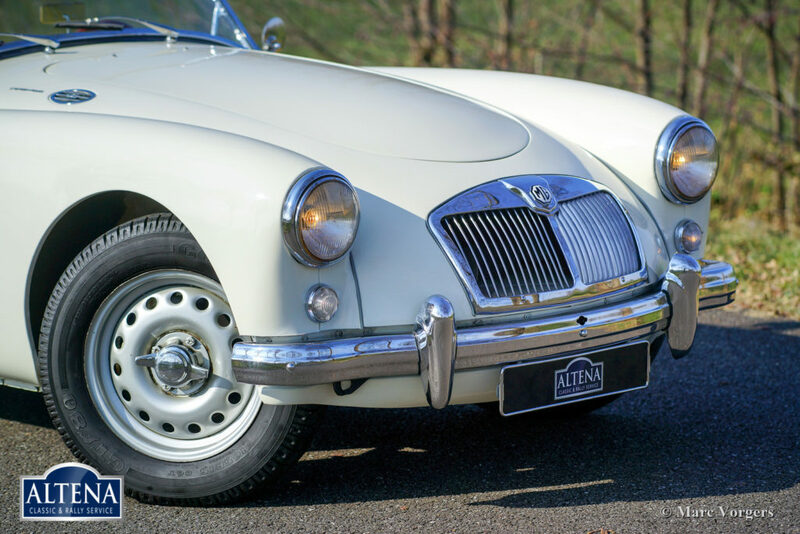 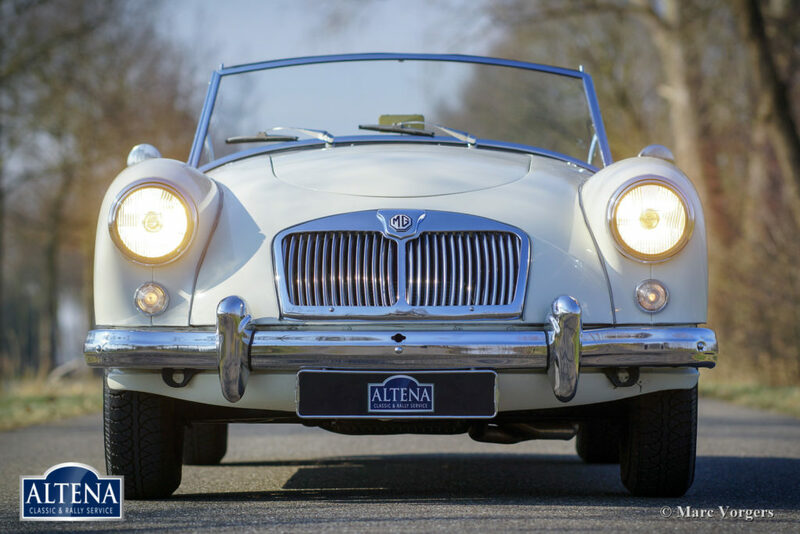 This MG MGA Twin-Cam is still in excellent condition and the driving experience is truly fantastic! 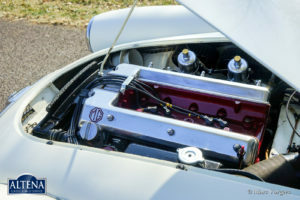 Over the years some parts were up-rated: A Bell racing-exhaust was fitted, Jaguar Mk II (Dunlop) brake callipers with ‘green-stuff’ brake pads were fitted at the front, the hydraulic brake system was filled with DOT 5 brake fluid, the electrical system was modified to AC-current and the car was given electronic ignition. The car comes complete with a lot of history, original owner’s manual, workshop manual, brochures etcetera! 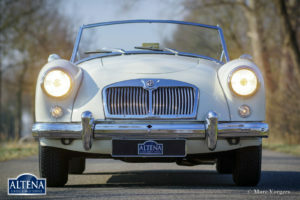 This is a very desirable MGA Twin-Cam in excellent condition!